Did you know that over the last decade, Virginia has averaged 24 tornadoes per year? Tornadoes may strike quickly, with little to no warning, causing extensive damage to structures and disrupting transportation, power, water, gas, communications and other services in its direct path and surrounding areas. That’s why Virginia conducts an annual tornado drill. This year’s drill will be held on Tuesday, March 19, at 9:45 a.m. In recent years, one million Virginians have signed up to participate. Join your neighbors and participate in the annual tornado drill; register at www.vaemergency.gov/tornadodrill. Then on March 19 at approximately 9:45 a.m., the National Weather Service will send a test tornado warning over NOAA Weather Radios. This test signal will sound a tone alert, show a test message or flash to indicate a message, simulating what people would hear or see during an actual tornado warning. Local radio stations, TV stations and cable outlets will also broadcast the test message via the Emergency Alert System. When you hear the test signal, start your drill. As in real life, move to a safe area, crouch as low as possible to the floor, face down and cover your head with your hands. Go to a safe room, basement or storm cellar. Learn more online at www.vaemergency.gov/tornadodrill. The Washington Area Metro Transit Authority (WMATA) is seeking volunteers for a full-scale emergency exercise on Sunday, Nov. 4 at the Franconia-Springfield Metrorail Station, 6880 Frontier Drive, Springfield. One of the main components of the exercise is the evacuation of a train on the roadway. Volunteers involved in the train evacuation could be on the train up to 60 minutes when the third rail power is de-energized to begin the exercise. Volunteers without mobility concerns should expect to access the roadway and walk back to an area of safety under the direction of the fire department. Volunteers will act out the role of a Metro rider who is on the train at the time of the emergency and will be able to see first-hand how regional emergency responders handle the situation. WMATA anticipates the volunteers arriving at 6:30 a.m., with the exercise beginning between 8:15-8:30 a.m. Volunteer participation should be over no later than noon, with the exercise completed no later than 2 p.m.
All volunteers will be required to sign a waiver in order to participate in the exercise. Participation is limited to those 13 years of age and older. Anyone younger than 18 years of age must be accompanied by a parent or guardian. Volunteers will receive free parking (parking Information will be shared prior to the exercise), an ID badge for the exercise as well as refreshments on the morning of the exercise and water during the exercise. In addition to the opportunity to provide feedback after the exercise, WMATA also can sign for or provide documentation for volunteers who require it for certifications or program participation, including Boy Scouts and Girl Scouts and other service organizations — just be sure to bring your form! If you and/or a family member are interested in participating, register each person at WMATA full scale exercise Nov2018. Tornado Drill Tuesday, March 20, at 9:45 a.m.
Don’t forget — tomorrow morning at 9:45 a.m. is the statewide tornado drill. You’ll want to practice what you would do should you face a real tornado. Your quick action is important! At approximately 9:45 a.m. tomorrow, Tuesday, March 20, the National Weather Service will send a test tornado warning over NOAA Weather Radios. This test signal will sound a tone alert, show a test message or flash to indicate a message, simulating what people would hear or see during an actual tornado warning. Local radio stations, TV stations and cable outlets will also broadcast the test message via the Emergency Alert System. To participate, start your tornado drill when you hear the test signal over NOAA Weather Radio or broadcast media. Remember that the safest place typically is a building’s basement away from windows; if there is no basement, go to a windowless interior room such as a closet, bathroom or interior hall on the lowest level of the building. Once you are in a safe area, crouch as low as possible to the floor, facing down and cover your head with your hands. Act as though a tornado warning has been issued for the immediate area or a tornado has been sighted near your location. Move as quickly as possible to the nearest shelter or other safe place. Use stairs to reach the lowest level of a building; avoid using elevators. Make sure any visitors to your workplace know that this is a drill and not a real event; assist visitors to shelter. Remind participants that when they reach their safe area during a real tornado threat, they must crouch as low as possible to the floor, facing down and covering their heads with their hands. Ensure that everyone in your group knows this. After everyone has moved to a safe place, the drill coordinator can announce that the tornado has passed and the drill is over. For more tornado safety information, visit the Virginia Department of Emergency Management, Ready.gov or the National Weather Service. The drill is a yearly opportunity to prepare for tornado emergencies and to test public warning systems. Just register for the tornado drill online. If you don’t get “officially” registered, you can still conduct your own tornado drill on March 20. In recent years, 1 million Virginians have signed up for the drill. If you need assistance or have questions, feel free to contact our emergency management office at 571-350-1000, TTY 711. At approximately 9:45 a.m. on March 20, the National Weather Service will send a test tornado warning over NOAA Weather Radios. This test signal will sound a tone alert, show a test message or flash to indicate a message, simulating what people would hear or see during an actual tornado warning. Local radio stations, TV stations and cable outlets will also broadcast the test message via the Emergency Alert System. To participate, start your own tornado drill when you hear the test signal over NOAA Weather Radio or broadcast media. * If widespread severe weather threatens on March 20, the drill will be rescheduled for Wednesday, March 21, at 9:45 a.m.
On Friday, March 31, 2017, two tornadoes touched down in the Hampton Roads region, including an EF-2 tornado with winds exceeding 120 mph. The tornado was on the ground for eight miles in the cities of Virginia Beach and Chesapeake damaging more than 200 homes. Virginians felt the destructive force of tornadoes again on April 6 in Lancaster County, near Irvington, when an EF-1 tornado, producing winds in excess of 90 mph, touched down damaging 45 structures. A storm system passing through the Commonwealth on May 5 produced nine tornadoes throughout the state. In April and August, communities in Northern Virginia were impacted by several EF-0 tornadoes. Several EF-1 tornadoes impacted communities throughout Southwest Virginia in October. These are just some of the highlights of tornado activity across the state in 2017, but they are a stark reminder that Virginians, in all regions of the commonwealth, must prepare for the possibility of tornadoes and other natural disasters. 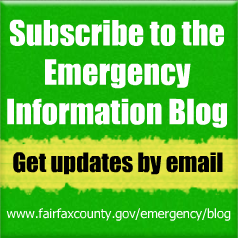 On Tuesday, Fairfax County held an emergency exercise — Operation Thunderbolt Strikes — at multiple locations including Tysons Corner Center, the county’s Government Center and the county’s Emergency Operations Center (EOC). The exercise was held to test the coordination, command and control between the county’s EOC and field command locations, as well as test emergency planning and response capabilities, validate several emergency plans and improve the level of response in case of a complex coordinated attack. In this video, Michael Guditus, exercise director and assistant coordinator of the county’s Office of Emergency Management, discusses the exercise and what organizers were hoping to accomplish. 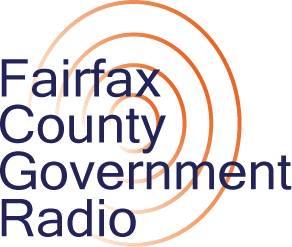 Fairfax County holds numerous exercises and events throughout the year, including tabletop discussions and more involved functional and full-scale drills. The exercises range from agency-level scenarios to multi-agency, county-level and regional events. For more on Operation Thunderbolt Strikes or the county’s training and exercise program, contact the Office of Emergency Management at 571-350-1000, TTY 711.